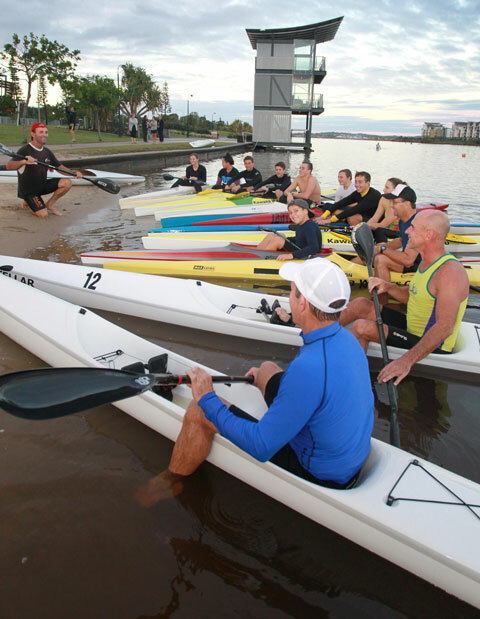 Kawana Waters Canoe Club (KWCC) is located at Lake Kawana on the Sunshine Coast, Queensland. The club was established in 2002 and provides coaching and squad training for paddlers of all abilities from across the Sunshine Coast. The club’s current coach, Shane Dalziel, is a former state and national kayaking champion. Shane is a Level 3 Accredited Surf & Kayak Coach with over 20 years’ coaching experience. He has coached over 35 National Medalists in Surf Lifesaving, Kayaking, Outrigging and Nippers and has mentored many of the KWCC members through to successful campaigns at State, National and Olympic level kayaking. KWCC offers kayak squad training 5 days per week along with learn to paddle sessions and programs for schools. Please contact the club with any enquiries.